Clearly. 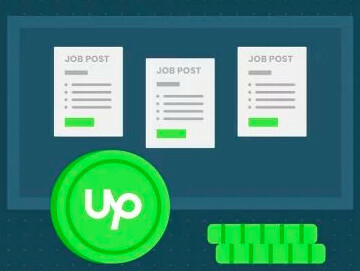 But Upwork really doesn't care. If it did, you would not see so many people complaining about the same thing. For years. A lot of people are disappointed when they don't get into their first choice school, don't make the cut for the varsity team or get turned down for the job to which they applied, too. There will always be someone who wants the bar lowered. "What is going on here?" More of the usual. It's enraging. Yeah, I obviously wasn't aware that this is an ongoing issue... It's not that I'm any less shocked and frustrated by the whole situation, it's just that I clearly have to stop thinking about it and hoping that things would change for better. 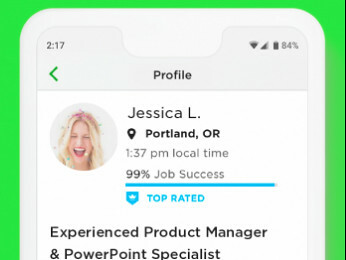 What's even worse, someone from Upwork support tried to convince me that everything is fine with my profile after they obviously updated my profile stats and fixed the bug showing two different job success scores - 89% was shown on the profile and 100% was shown in my profile stats. That is normal, they update at different times, it is like that every week, there is a lag of up to 3 hours during which the JSS looks different between the profile and the My Stats page. "With regards to your score, this is what we are seeing currently: you have 21 outcomes in the past 2 years. 82% of your outcomes have been good, including positive private and public feedback, rehires or long-term relationships. - Of your contracts with feedback, you received good feedback 82% of the time. - 18% of your outcomes were bad due to poor feedback, no earnings, disputes, refunds or customer complaints. Your Job Success Score calculated over 2 years is 89%, over 1 year is 89%, over 6 months is 100%. We give you your highest score". "If my JSS over last six months is 100%, I still don't understand why it's currently showing 89% percent on my profile, and 100% in the profile stats window? Which one of these two scores is my real score at the moment?" and this was the reply: "Hi Vasja, Your real JSS score as of the moment is 100% as we always give you your highest score." Since my profile was still showing 89% JSS, I submitted another ticket and someone else from support team told me that my JSS is indeed 89% without any further explanations. I still have no idea why did this happen. I'm not trying to find a solution, 'cause there obviously isn't any, I just can't believe what's going on. Very dissapointing. 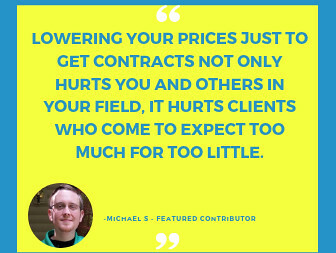 What does Clients who would recommend you say? It says that 74% of clients would recommend me, but this percentage has been the same for some time now. It was 71% until a few of my most recent projects were completed successfully. Okay, that means that one out of four of your clients left unhappy. That's a lot. Maybe you need to think and try to identify the issue and what you can do to be even better. Since my profile was still showing 89% JSS, I submitted another ticket and someone else from support team told me that my JSS is indeed 89% without any further explanations. I still have no idea why did this happen. Private feedback, most likely. I even have a strong suspiion whih one. How many contracts ended during the last 2 weeks? Do you have a contract that started more than a couple of months ago and you never earned anything under yet?